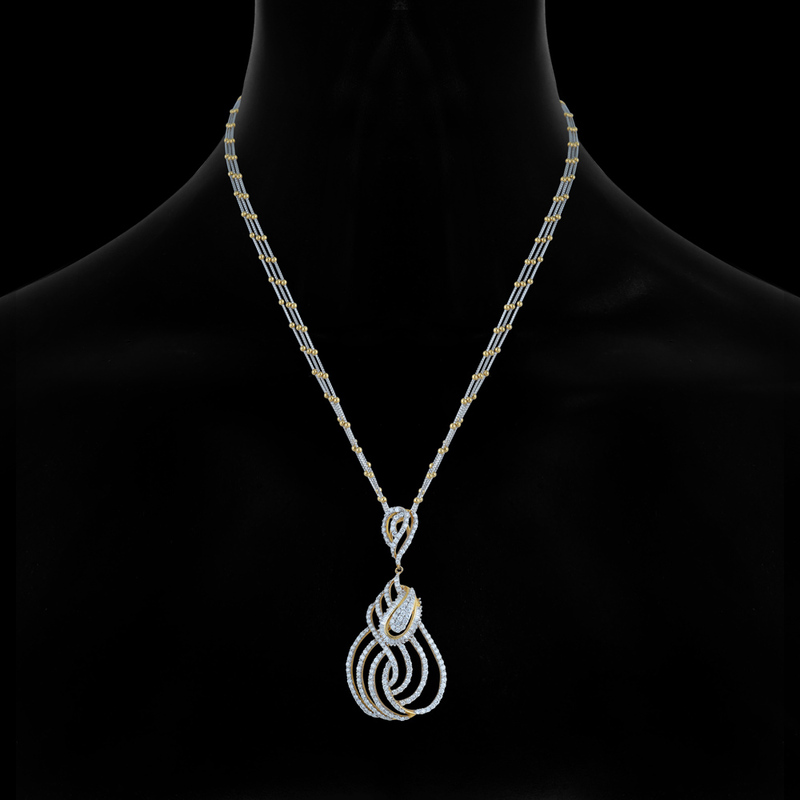 Swirly Diamond Pendant is an enchanting piece of diamond jewelry designed in a simple yet intriguing manner that is sure to cast spells with its alluring design. Made of 18K gold stunning diamonds of stone weight 0.428CT, it comes with a unique yet appealing pendant designs that will compliment every outfit in your wardrobe. May it be a wedding or a party, just put this on and you're sure to set the floor on fire with its beauty.